The renowned German heavy metal act and then some, Scorpions have recorded for us over five decades and sold in excess of 75 million albums in between 1972’s Lonesome Crow and the most recent Return to Forever (2015). During that time they have also played over 5000 concerts in over 80 countries, the most recent tour being mooted as their finale, though they have since retracted that decision. Hurrah. Consistent and reliably brilliant the band includes long term founding member Rudolf Schenker (guitars and vocals), brother of lead axe man Michael who would participate and then do his own inimitable thing, singer Klaus Meine, Mathhias Jabs, guitars, and the rhythm section of James Kottak and Pawel Maciwoda. While they are rooted in hard rock the Scorpions are hard to categorise at times since they don’t conform to the so-called Krautrock style, though they have something in common with the genre, and have also been involved in musical theatre and symphonic work. Their cupboards bulge with awards and honours. The most successful German band of all time, they have performed for world leaders, have streets named after them, appeared on stamps and been given a star on the Hollywood Walk of Fame. Their best-loved songs include the immortal “Rock You Like a Hurricane”, “Wind of Change” and “No One Like You”. Since 1979 they have never released an album in Germany that didn’t make the Top 20 while the double Platinum Crazy World (1990) heralded global stardom. There following is fanatical and can be heard baying approval on six live discs. We also have a selection of many compilations, Best Of's and anthologies like Box of Scorpions to offer a thoroughly comprehensive overview of their spectacular career to date. 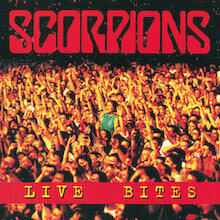 Rudolf Schenker actually started the Scorpions in Hannover in 1965 when their sound was British beat influenced. Michael and Klaus changed the focus in 1970 and the debut album Lonesome Crow was recorded with Conny Plank (Can, Cluster, Kraftwerk, Brian Eno, Killing Joke, Moebius, DAF, Eurythmics etc.) at Star Studios, Hamburg for the famed Brain label. Michael left to join UFO shortly afterwards but left the team with a fine disc, full of pulsating rock riffs and psychedelic spin. Fly to the Rainbow emerges after a hiatus when Rudolf and Klaus perform as Dawn Road but then resume the brand with new guitarist Ulrich Jon Roth. Adding mellotrons and synths to the mix they moved into progressive territory but In Trance (1975) announced their arrival as a fully-fledged hard rock act with classy musicianship, subtle vocals and a crisp sonic atmosphere. The highly controversial Virgin Killer would become one of their best-loved releases and define their sound, an abrasive metal that will prove influential. The title track and “Pictured Life” are classic Scorpions and surely inspired the next generation of New Wave British Heavy Metal. Roth left after Taken by Force but again this is a stellar disc whose songs have been covered by Syu, Testament, Yngwie Malmsteen and Helstar. Dieter Dierks production shines here and this disc came to the attention of American management team Leber Krebs, thus opening the door for an assault on the US rock market who would soon surrender to the delights of “Steamrock Fever” and “Born to Touch Your Feelings.” The double live Tokyo Tapes sees Roth and his Hendrix influenced guitar work take their leave but not without contributing those immense talents to one of the great on-stage Scorpions testaments from Nakano Sun Plaza. As word spread Lovedrive provided the impetus for much bigger sales. Michael Schenker returns to add guitars to three cuts and Matthias Jabs handles the Fender like a champ elsewhere, bringing a whiff of Van Halen to the new big sound. Ensuring they moved the formula forward the splendid Animal Magnetism contains the brooding metal burlesque cut “The Zoo”; this will become a lynchpin number of their live act and is especially popular in the UK. Suitably energised by international acclaim Scorpions eighth studio album, Blackout receives stunning reviews and wins plaudits for the brilliant “No One Like You”. Love at First Sting (1984) took a while to appear but utilises the emerging digital recording technology to full effect. Standout cuts here are “Rock You Like a Hurricane” and “Still Loving You”; the combination of power balladry and memorable riffs shine brightly. Dierks final disc with his friends is Savage Amusement where they tinker with a more synthesized sound and even move into the dance territory that was becoming so hip in Cologne. The huge seller Crazy World is co-produced with Keith Olsen who provides a very radio-friendly sheen to the hard rock grooves. Francis Bucholz makes his bass-playing bow here but leaves Scorpions in good shape with the political track “Wind of Change” becoming a slow burning worldwide hit just in time for the collapse of the Soviet Communist regime. 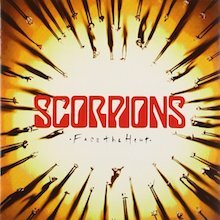 That move towards social issues and more pointed lyrics continues on Face the Heat, produced by the late Canadian board master Bruce Fairbairn (Bon Jovi, Aerosmith, AC/DC) although the more contemporary sound he gave them was soon swapped for the in-house Scorpions thrust of Pure Instinct. They return to us for 1999’s Eye 11 Eye, an album that slipped off the radar somewhat but is well worth rediscovery now. Guests here include Mick Jones (Foreigner) and James Ingram. The noted producer Peter Wolf adds piano and keyboards to a lush and soulful disc. The new millennium finds Scorpions in carefree mood on Moment of Glory as they team up with the Berlin Philharmonic Orchestra to cover some of their best-loved tracks, also a version of Diane Warren’s “Here in My Heart”. Ray Wilson (Genesis) and Zucchero add vocal polish to this EXPO 2000 extravaganza and emotional Hannover homecoming. After political constructs, the occasional concept and strings it’s back to hard rocking business as usual on Unbreakable but experimentalism is always in their arsenal and so the collaboration with Desmond Child on Humanity: Hour 1 envisages a Science Fiction future where man and robots are in conflict. That audacious disc is chased down by the acclaimed Sting in the Tail (2010). “The Good Die Young” recorded with Finnish metal opera star Tarja Turunen and the epic “Raised on Rock” delighted fans who appreciated Scorpions ability to maintain an incredibly high standard of writing and performance. For something completely different try Comeblack as the band re-record some older classics and revisit their beat origins with covers of Beatles, T. Rex, Small Faces, Kinks and Rolling Stones oldies but goldies. It’s an esoteric mix but it works very well. Discovery of this 2011 disc is highly recommended. We also have Return to Forever, the aptly named new disc. Schenker, Meine and company celebrate both their 50th anniversary and their partnership as a long-lasting institution. As Rudolf explains: "We're living a Gypsy Life, all our life, fifty years and longer". This is available in standard format and Limited Deluxe and iTunes Editions as well as a heavyweight double vinyl pressing and a collector’s box set with extra goodies and memorabilia. A fine thing. For extra listening seek out the World Wide Live or Live Bites and bolster your interest with any of the compilations, such as Best of Rockers n' Ballads, Still Loving You or the handy Big City Nights. 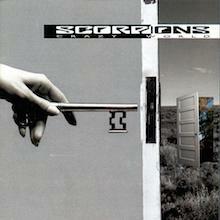 Bad for Good: The Very Best of Scorpions contains two unreleased cuts from 2002. The Platinum Collection spans their career with well-chosen items on 3-CDs, as do Box of Scorpions and Gold. There is much to discover and admire and with these veteran rockers in such fine fettle today it seems likely there is more on the way. After the release of Savage Amusement in 1988, the Scorpions expressed disdain toward the album, feeling that it was too polished when compared to their other work. Their longtime producer, Dieter Dierks, was replaced with well-known rock producer Keith Olsen, who would produce Crazy World and assist in making it one of the Scorpions' greatest recordings. Their music had certainly changed since Savage Amusement, sounding a little bit heavier and less glamorous. But even with the metal sound, the songs remain melodic and catchy. The power ballads on the album, "Wind of Change" and "Send Me an Angel," are arguably two of the band's greatest slow numbers, boasting soothing harmony and lyrics. Crazy World remains the Scorpions' finest '90s album and is sure to please its listeners. Not even renowned metal producer Bruce Fairbairn could save this disappointing follow-up to the outstanding release Crazy World. Instead of concentrating on melodic tunes, Face The Heat seems to focus on noisy metal and glass-shattering screaming rather than the usual classic and emotional sounds that the Scorpions have put on their previous albums. Especially when compared to their previous recordings, Face The Heat is quite unsatisfactory. 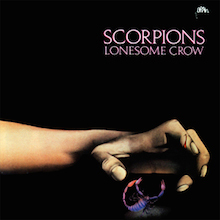 Most of the comments the Scorpions' first effort, 'Lonesome Crow', are right on here. At first I fully expected a raw, primitive sound similar to that of 'Fly to the Rainbow' and 'In Trance'. Instead, I got an earful first listening to this somewhat experimental work, which is far, far more sophisticated than anything that they have done since. I find myself listening to 'Lonesome Crow' over and over again, trying to figure it out. This one certainly bears repeated listenings, as there is a lot going on here. Everyone who knows and loves the Scorpions from their 80's heyday knows how polished their special brand of driving hard rock 'n' roll became after Tokyo Tapes in '78. Starting with 'Lovedrive' in '79 (my favorite of their newer material), 'Animal Magnetism', 'Blackout', etc., It is pretty clear looking back how the Scorpions continued to refine their sound with glossier production coupled with simpler, shorter song arrangements and a more focused, driving hard-edge to their sound. It's almost like they backed-up after making Lonesome Crow, only to focus and refine a decidely more loud and straightforward sound. If 'Lovedrive' is classic 80's heavy metal, then 'Lonesome Crow' must be seen as the peak of their creative ability. Indeed, it is like nothing that I have ever heard before. The Sabbath influence is there (just listen to the excellent bassist wax Geezer Butler-esque), and the drums are equally solid. This record is like a black orchid on a dark purple background, and the atmosphere it generates is tremendous. It is also a showcase of musicianship. 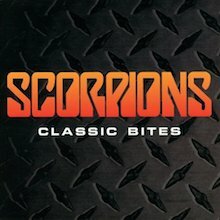 No offense to Rarebell, etc., but the Scorpions should never have gotten rid of their bass/drums section, who really shine on this, the only Scorps album on which they performed. The variety of rhythms and layering of sounds is something to note on repeated listenings. Klaus Meine (then Meiner) is in top form here, and his haunting vocals really help set the dark mood. Certainly one of the top voices in 80's Rock, he is given more range on 'Lonesome Crow', and really shows off his expression and range. Perhaps his english wasn't that strong at the time, but even though many of the vocals are unintelligable (especially on the title track)he uses his voice like an instrument, which is fine considering the fact that actual lyrics are pretty sparse in this 70% instrumental experiment in sound. The guitar work just confirms that Michael Schenker at age 16 was clearly a musical prodigy and extraordinary talent. My favorite tracks are 'Inheritance', 'Leave Me', and the title track, 'Lonesome Crow'. Surely the latter I would consider possibly the Scorps' Magnum Opus. Consisting of over 13 minutes of varied movements, extended Michael Schenker soloing and Meiner's even-then vocal brilliance (did he have classical training pre-Scorps? ), it brilliantly concludes the whole CD as a single, almost seamless body of work. This is an excellent compilation album. If you have never heard The Scorpions music then this is an ideal taster for you and you will enjoy every track, INCLUDING their Classic 'Wind Of Change' which, it seems, has been missed off as track 18 (above) by the guy / gal who updates Amazon's listings. Yes, it's on here and how could it NOT be, but thankfully the compiler had the good sense to include it as the final track in the hope you'll listen to the other 17 Classics to get there! Tremendous music from Germany's finest! It's only 99pence New and Used so you've no excuse but to click!